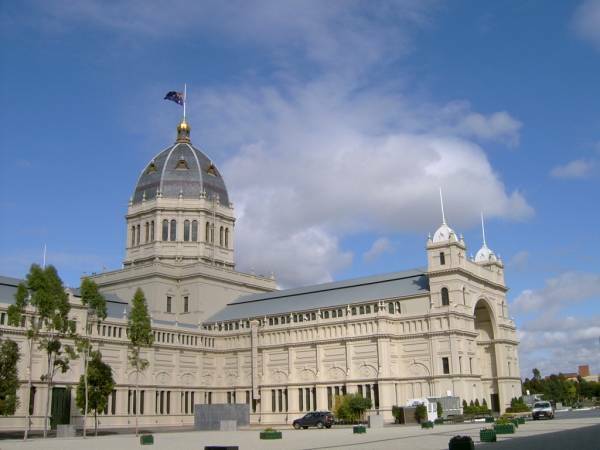 The magnificent Royal Exhibition Building in Carlton Gardens was completed in 1880 for Melbourne’s first International Exhibition, a product of the optimism, enthusiasm and energy of the people of Melbourne in the late nineteenth century. The building is constructed of brick and timber, steel and slate. It combines elements from the Byzantine, Romanesque, Lombardic and Italian Renaissance styles.